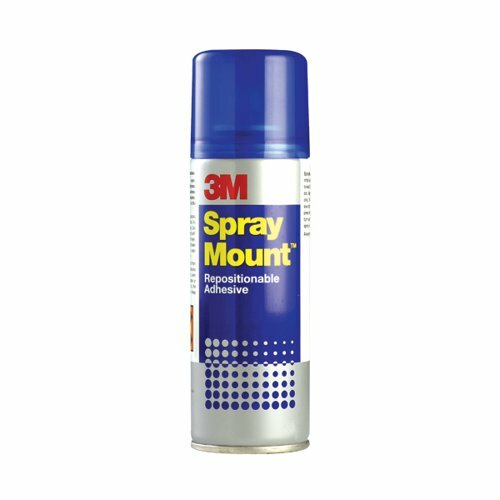 3M SprayMount Spray Adhesive Repositionable. Easily repositioned up to 12 hours later. Ideal for mock ups, mounting designs, theatre sets, prototyping, exhibition boards and lightweight materials. includes 1 x 400ml spray can.